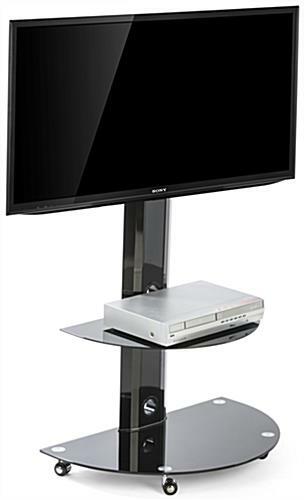 Sized for 32" - 55" Screens to 88 lbs. 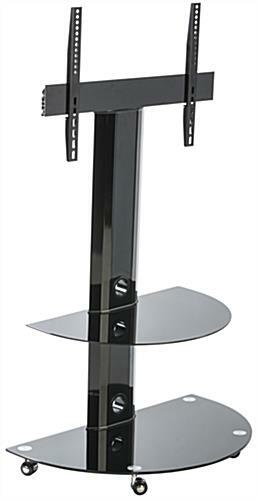 This metal and glass TV stand w/ shelves, such as an entertainment center, includes four wheels for easy transport and repositioning. 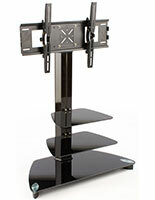 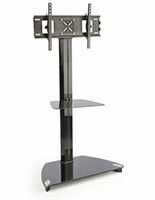 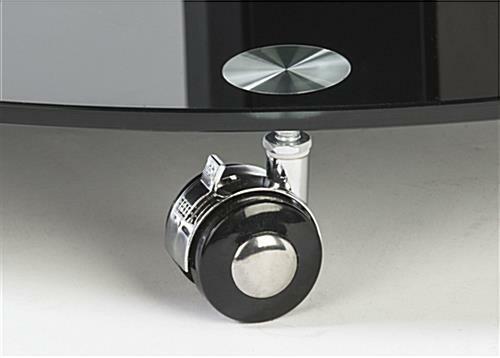 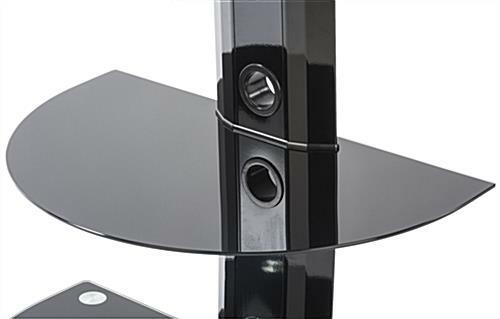 The sleek modern design is both beautiful and functional, a popular media mount. 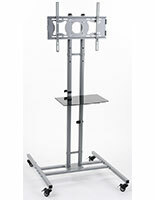 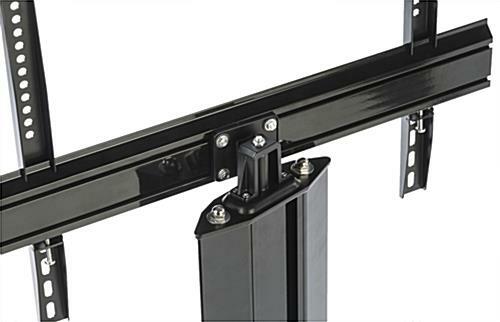 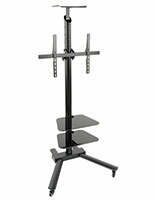 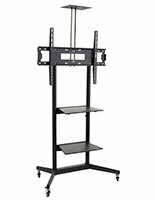 Each of these flatscreen racks can hold 32” to 55” televisions weighting up to 88lbs. 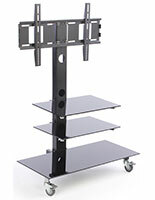 This metal and glass entertainment center with tempered shelving for electronics, such as cable boxes, DVD devices, or game systems, comes with a 15 degree panning bracket that moves right to left. 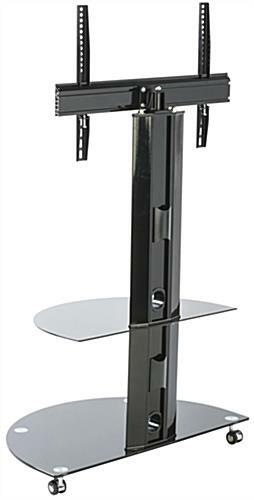 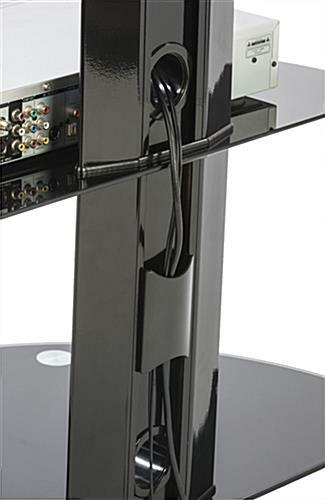 This black entertainment center keeps everything organized, whether placed in your living room by your furniture, or at a business meeting, with an integrated cable management system via the aluminum column that keeps things neat! 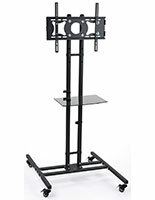 31.4" x 53.3" x 19.0"